Kekis were one of my favorite pastries when I was in school. I would buy 3 of those cookies for 25 cents. 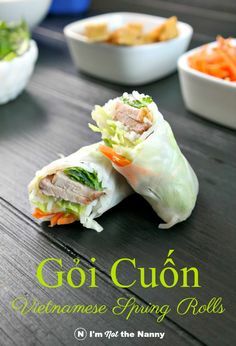 They were cheap, filling and always boasting with flavors of coconut and ginger. As I got older I became more selective about my Kekis and would expect certain details such as: pieces of coconut, a more dense texture and an intense raw sugar cane and ginger taste. 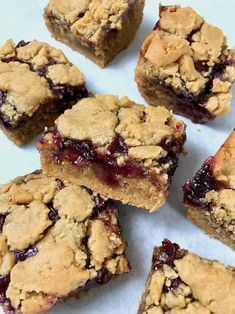 I’m sharing a different recipe than the one I usually bake, inspired by Cooking Diva’s original recipe. The one I baked this past Sunday uses Almond Flour to replace half of the All Purpose Flour and I didn’t use molasses. 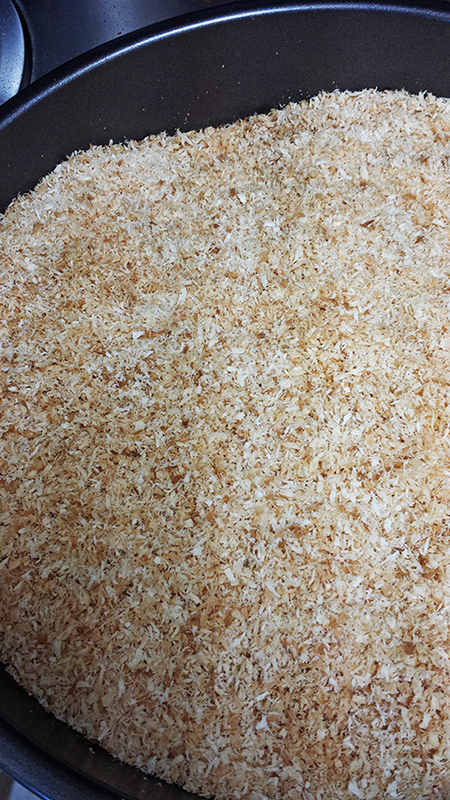 Also, this time I bought the shredded coconut instead of shredding it myself (huge difference in flavor, so yes it is worth it to do the extra work). Some other favorite kekis are the one I used to buy when road tripping in Panama, right before Antón, Coclé. Sometimes I could find them in the city around some semáforos (traffic light intersections). I think a friend of mine loved making sandwiches with it using butter and American cheese. What I would give to be near Rio Hato right now. I’ll bake my other recipe and share soon! Recipe below. 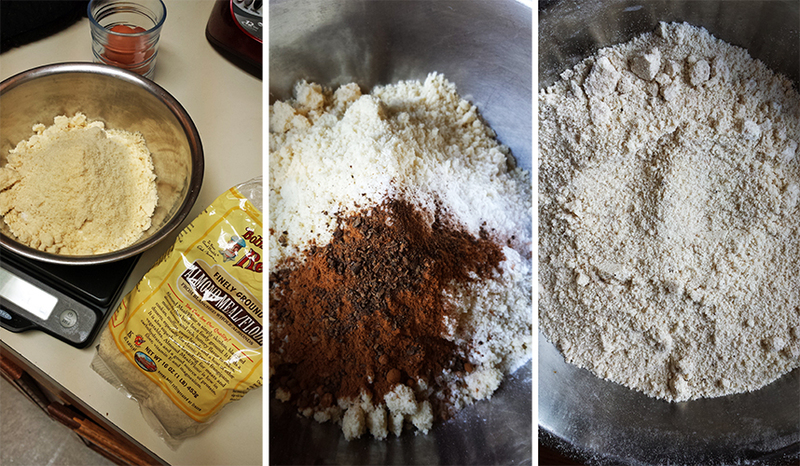 Mix all your dry ingredients and pass through a sieve to combine. 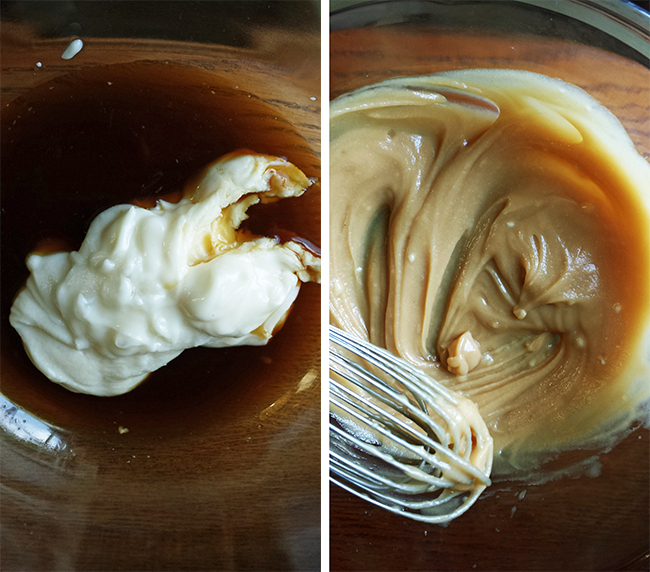 In a separate bowl mix the sugar and fat until you get a creamy texture. Add the eggs to the liquid and whip until fully mixed, then add the grated ginger. 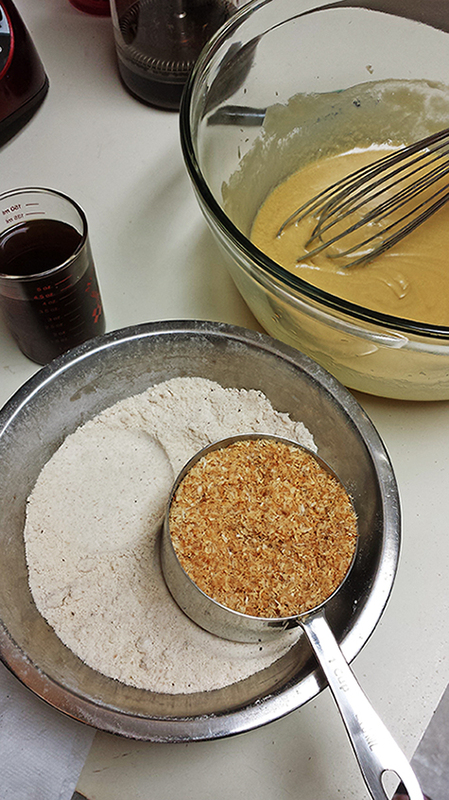 Add the dry mix to the liquid one, alternating by cups with the toasted coconut. 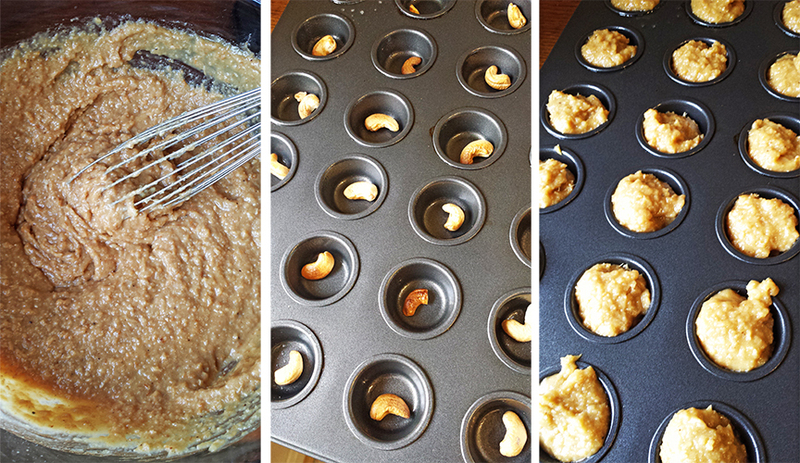 Scoop the batter as if they were cookies or use mini muffin tins. 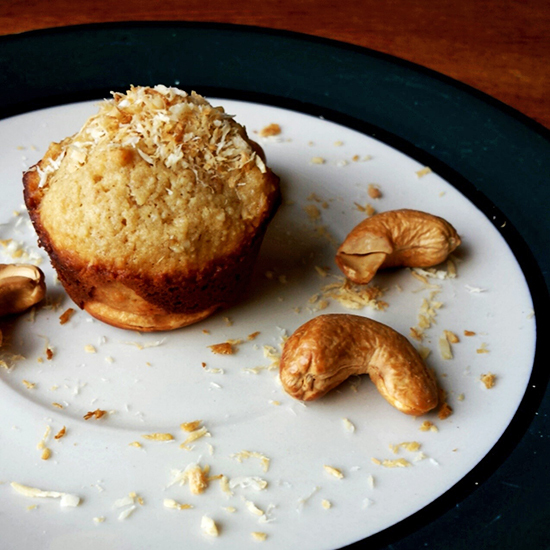 I placed one cashew per mini muffin before adding the batter. NOTE: If you like sweeter desserts feel free to increase the sugar. Increase the fat for a more moist muffin. Try 3 tsp of grated ginger if you prefer a stronger ginger flavor.